I was asked by Ruth Hamilton at Creative Bloq to comment on a Twitter thread from a few weeks ago discussing How Buildings learn: What Happens After They’re Built. I don’t imagine the full message will be used so I am publishing it here in full. UPDATE: Creative Bloq article can be found at http://www.creativebloq.com/features/the-10-best-design-books-that-arent-about-design. There is a general passion amongst graphic designers of any kind towards architecture. A profession when at its best encompasses all the facets of great design. It looks at environment, community, usage, social responsibility, materials, maintenance, capabilities and has to factor permanency in a knowingly changing world. Working in digital design for the last 20 years I quickly accepted our work is temporary at best, dates faster than high-street fashion, fragile by default and disposable. Reading How Buildings learn: What Happens After They’re Built is a critical reminder of all the design practices we desperately want to move away from. Exhaustive planning, big design up-front, not working with customers and allowing rockstar egotism to influence direction. It’s a powerful reminder of how costly these methods of design can be, both to people, the areas they inhabit and the businesses reliant on their success. On my desk I have the Lego Architecture replica of the Farnsworth House, now a National Heritage Landmark & an award winning design designed and constructed by Ludwig Mies van der Rohe between 1945 and 1951. It consists of a single room located off-street with all the walls made of glass using steal beam construction and simple decking. Visually is quite exceptional. Despite awards, there’s never been a long-standing tenant with Dr Farnsworth realising their vision was impractical and like a prison. It leaks, it’s cold, and the open plan has resulted in uncomfortable privacy issues. 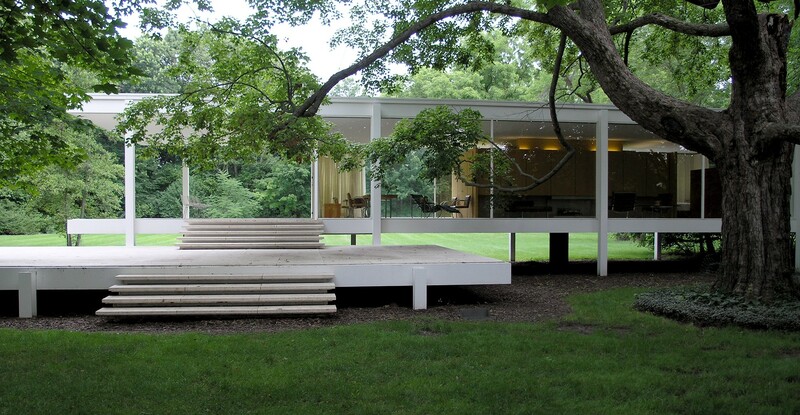 Mies talks about his ‘free space’: but his space is very fixed. I can’t even put a clothes hanger in my house without considering how it affects everything from the outside. Any arrangement of furniture becomes a major problem, because the house is transparent, like an X-ray. The book is a great reference to both the positive and negative effects of designing purely for the aesthetic, to use a specific material, or to meet a limited budget/timescale. The greatest insight is in how people change the space you design to suit the way they live – not the way you envisaged it. They knock down partitions to expand rooms, repurpose rooms to meet their needs like converting lofts and garages, and relocate entire structures like bathrooms for the house to flow how they want it to. There is so much we can learn from architecture and remind ourselves how fortunate we are that what we write today is dead tomorrow and replaceable for free.